ESRI has a link on their site to this super useful public information map of wildfires in the western US. It’s a tough summer with hardly any rainfall in California so if you live in a danger zone, it is probably a good idea to a)prepare to evacuate b)make sure you clear brush from around your homes, and c)watch the map! View an interactive map of US wildfire locations, perimeters, fire potential areas, global burn areas, wind conditions, and precipitation via streaming data from NIFC, GeoMAC, NHSS, MODIS, METAR/TAF, and the USDA Forest Service, Fire Modeling Institute. Where is the rain when you need it??? This entry was posted in Maps on August 4, 2014 by clubjosh. It’s 2014 and I’m really excited that we have reached a point where I can get real time data on maps. I remember when we used to be able to get 15 minute old satellite weather photos on Mosaic 20 years ago in grad school. Now, I can just pull it up and watch it happen. Kottke had a great post a few weeks ago, but being Map Monday, I decided to list them all here for your convenience. My favorite is the Lighting Strike Map which comes with some awesome sound effects. As a bonus, you can look at other continents and be satisfied that North America has the most lightning and best data. Another great map is the USA Wind Map which despite being great data feels more like something I can watch with some Enya playing in the background and be completely stress free. It also comes in a World version! This entry was posted in Maps on July 7, 2014 by clubjosh. A trivia games based on Google Maps?? Sign me up!! 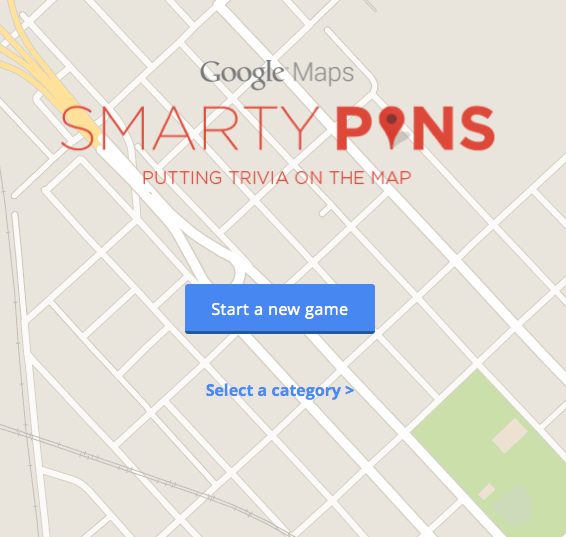 Smarty Pins is a game from Google that allows you to rove the globe to answer questions. Some are super easy, and if you play a lot like I have been doing, you see some repetition. My best category? Science and Geography of course! My top score is 25, but hope to improve that soon.. This entry was posted in Maps on July 2, 2014 by clubjosh. Today there was a m7.9 quake near Little Sitkin Island in the Aleutian Island chain of Alaska. 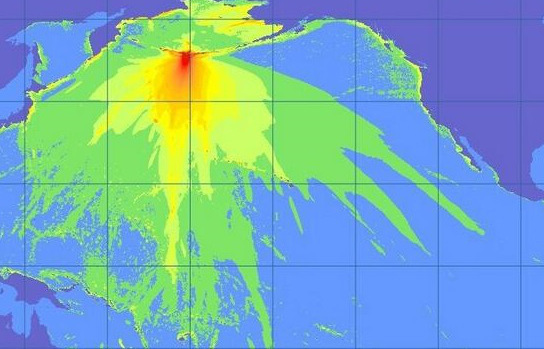 On the interwebs, there were many shots of the potential tsunami propagation from the quake – despite, according to CalTech’s Lucy Jones, the low probability of a tsunami from this relatively deep quake. Interesting to note that there is some green wave height changes even in California despite not being in the direct path of the waves. As great as this map is, nothing compares to the one that NOAA produced back in 2011 for the m9.0 Great Tohoku Quake in Japan. 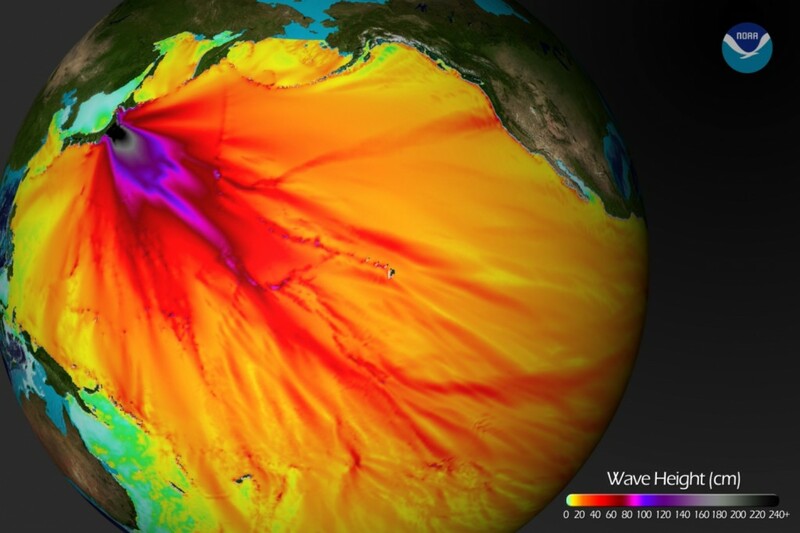 I really think this map communicates the awesome power of the tsunami is simple lines and colors. Love what seems to be a straight shot from just above Midway and the Hawaiian Islands to California – is that a tsunami rebound?? This entry was posted in Maps on June 23, 2014 by clubjosh. Jan Hiersemenzel, a drone enthusiast from Zurich, has created a site called Travel By Drones that is making all the rounds (found on Skift, The Next Web, and Gizmodo). The site is a Google Map interface that plots YouTube videos taken by drones from around the world. It’s a pretty simple concept that lets you explore the world. No more just looking at photos from around the world, now there is video. Perhaps the NPS should hire some drone pilots to get some good B Roll of the parks we can all enjoy. One thing I noticed after an hour of wandering the planet watching drone videos is that they all seem to use the same style music. It get’s old after awhile, but with the sound muted on the video you can use your music library and create your own soundtracks. Despite little nagging things like that, this is a pretty cool site and there are lots of amazing videos. This entry was posted in Maps, Photos, Technology, Travel on June 16, 2014 by clubjosh. 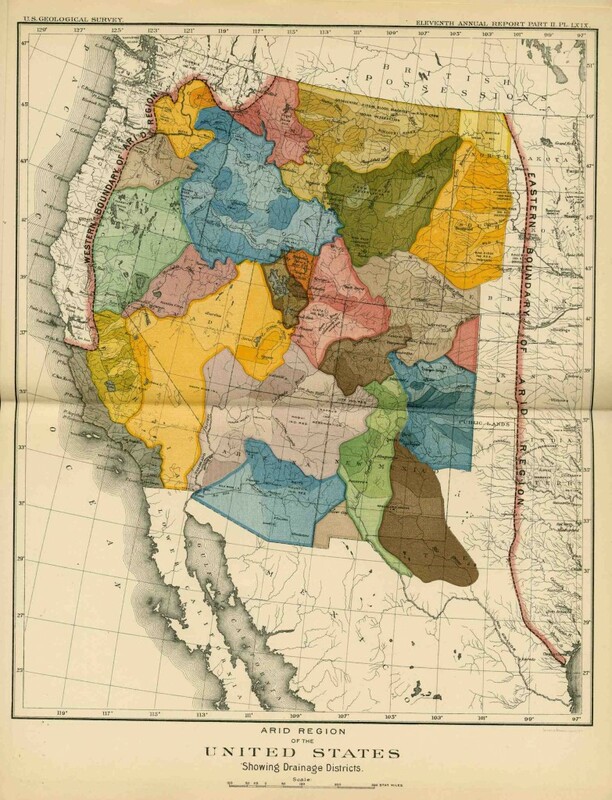 Its’s a great looking map, and even more important was Powell’s warnings about how dry the west was called for the “end of the widespread, freewheeling distribution of land that had led to speculation on the one hand and brutal failure for small homesteaders on the other”. Fascinating stuff! This entry was posted in Maps on June 9, 2014 by clubjosh. 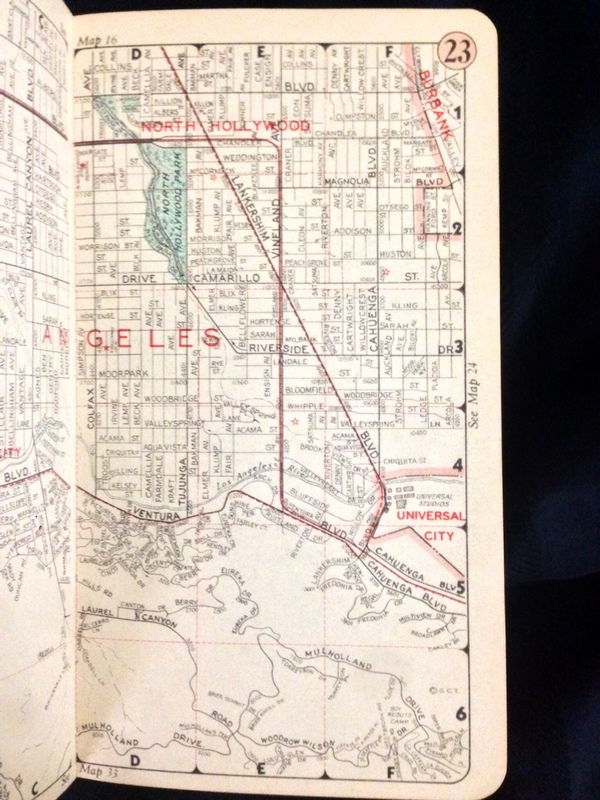 Southland has a great article on how Los Angeles, California went from a sleepy little pueblo and four square leagues of land into the massive city that it is today. Make sure you also check out KCET’s article from February 2011 that also covers the same topics and also some finer points of areas trying to leave the city as well as joining/annexing to it. This entry was posted in Maps on June 2, 2014 by clubjosh. I came across this map right after it was published in 1992 by the Circum-Pacific Council for Energy and Mineral Resources. I immediately fell in love because it mapped earthquakes and typhoon/hurricane tracks for the Circum-Pacific region. Natural disasters are some of my favorite things to study and to see them on the map together was pretty great. The map came with a pamphlet which is buried somewhere in my archives I think, but I never really delved into the meaning of the map other than just an awesome display of the Pacific Ocean and it’s hazards. 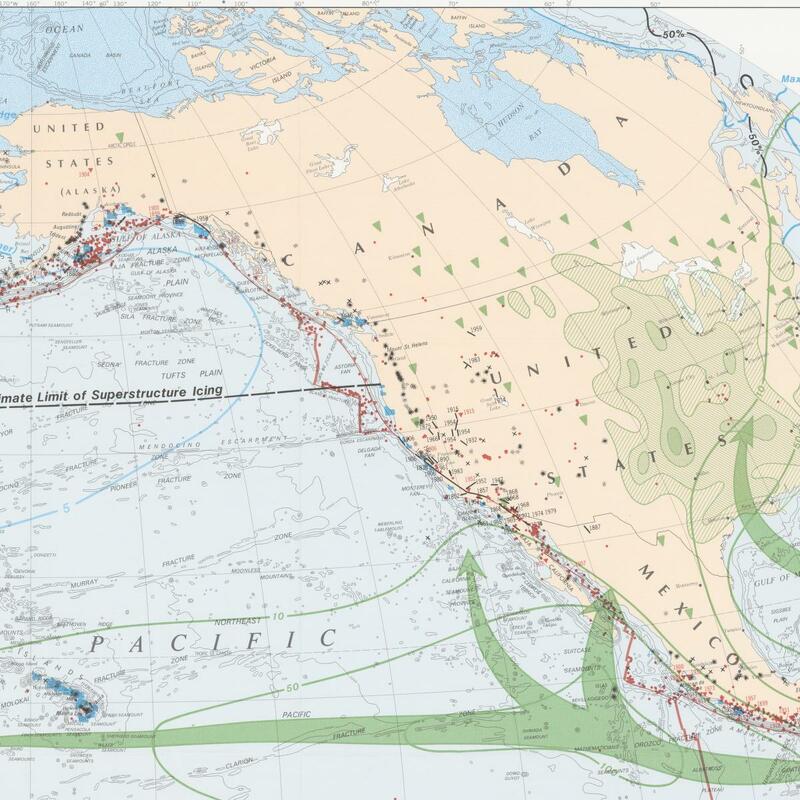 The Circum-Pacific Map Project (CPMP) is a cooperative international effort to show the relation of mineral and energy resources to such phenomena as geology, tectonics, and crustal dynamics. the project is one of the activities of the Circum-Pacific Council for Energy and Mineral Resources. 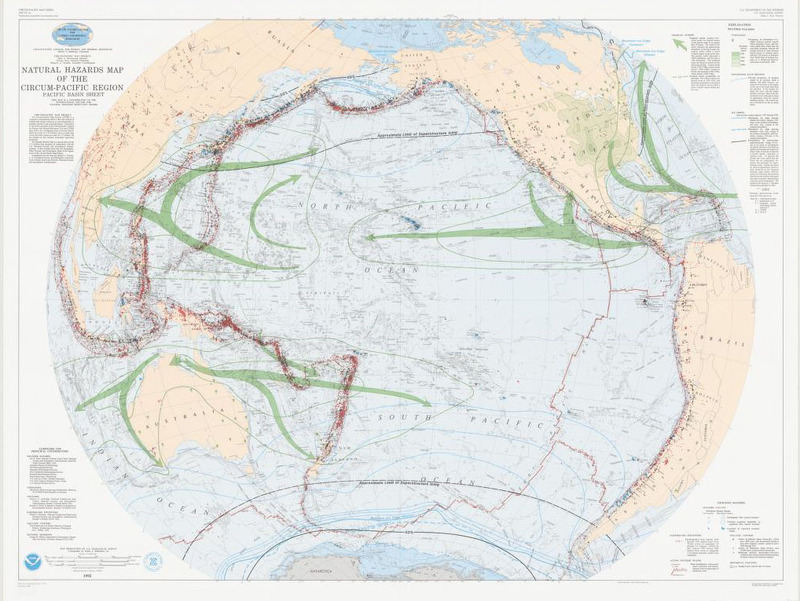 For most CPMP map series, six overlapping maps cover the Pacific Basin at a scale of 1:10 million, and a seventh map covers the entire region at a scale of 1:17 million. All are plotted on the Lambert azimuthal equal-area projection. The Natural Hazards Map is a special sheet on the 1:17 million base prepared in cooperation with the US National Oceanic and Atmospheric Administration. It also includes data from the Geographic, Plate-Tectonic, and Geodynamic Maps of the regular series of the Circum-Pacific Map Project. Coordinators for this map are Maurice J Terman, USGS and Millington Lockwood, Curtis Mason, and Irving Perlroth, NOAA. You can explore the map in detail at the National Library of Australia. This entry was posted in Maps on May 19, 2014 by clubjosh. Here is a great fun tool! Eric and Ben visited all 30 MLB Stadiums in 30 days last year and now you can plan your trip for this season. We are already a month and a half into the season, but there is still time! This entry was posted in Maps, Web Related on May 12, 2014 by clubjosh. Starting a new feature here on Club Josh. Every Monday I will highlight a favorite map of mine – similar to how I showcased one of my favorite maps in my collection a few weeks ago. Today’s Map Monday is a 2-fer! 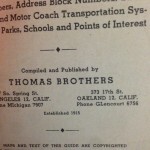 Today we are going to look at the 1945 and 1951 Los Angeles County Thomas Guide. 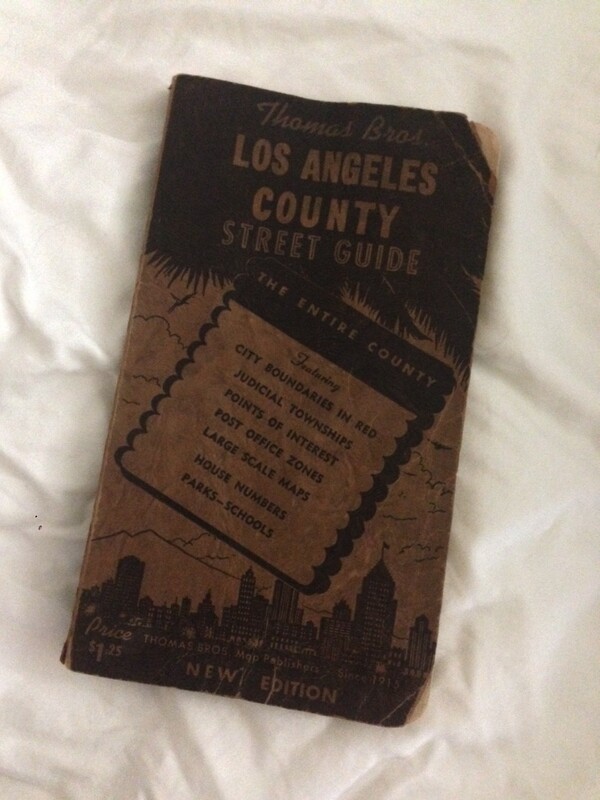 For non-Los Angeles natives, Thomas Guides were (and to me still are) the most popular street guide for the city. They are so popular that Real Estate agents and most companies that dispatched people to locations use their famous page and grid references so people know where to go. With the advent of GPS and Smartphone mapping applications, less and less people purchase the Thomas Guides, but I love them. In the early 2000s they ceased being their own company and were bought by Rand McNally. 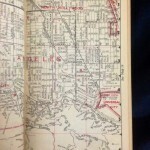 I still like the pre-90’s hand drawn maps – some of the cartography lasted from the 1920s until they converted to digital cartography in the 90s. 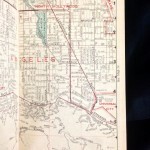 Some of the early digital years were rough (another blog post) but nowadays, the cartography is just as good as the old hand drawn maps – even if they are made in India with people who have no idea what Studio City is. 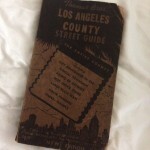 The historical guides have always been my favorite just for showing what the city used to be like. I remember when they used to push how many updates were made to get people to buy the new maps, but in my eyes, its great to go back and see what was once there. 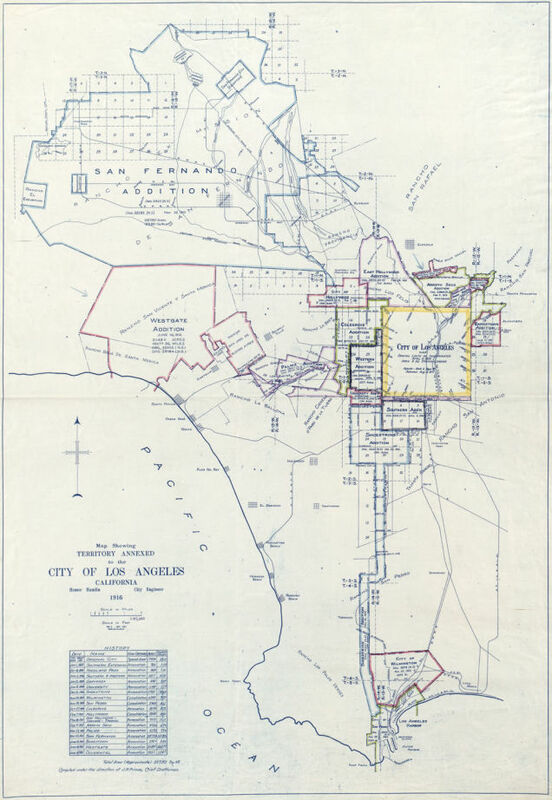 The first two maps are from pre-freeway Los Angeles in the postwar boom. People were moving to the suburbs in droves and as you can see in the 6 year gap in Studio City, not a lot has changed, but you start to see the beginning of the mass building in the hills that would really take off in the 1960s. 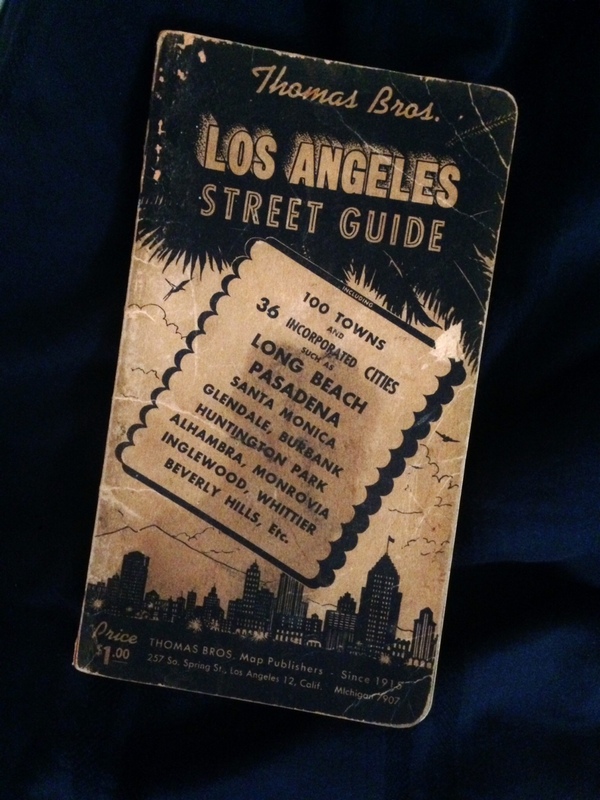 First up: the 1945 Guide – Each example shows the cover, the copyright notice and our sample page, which in the first two examples happens to be page 23 which corresponds to a part of Studio City. 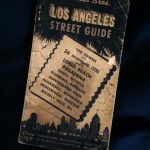 Second: The 1951 Guide – it looks pretty much the same. 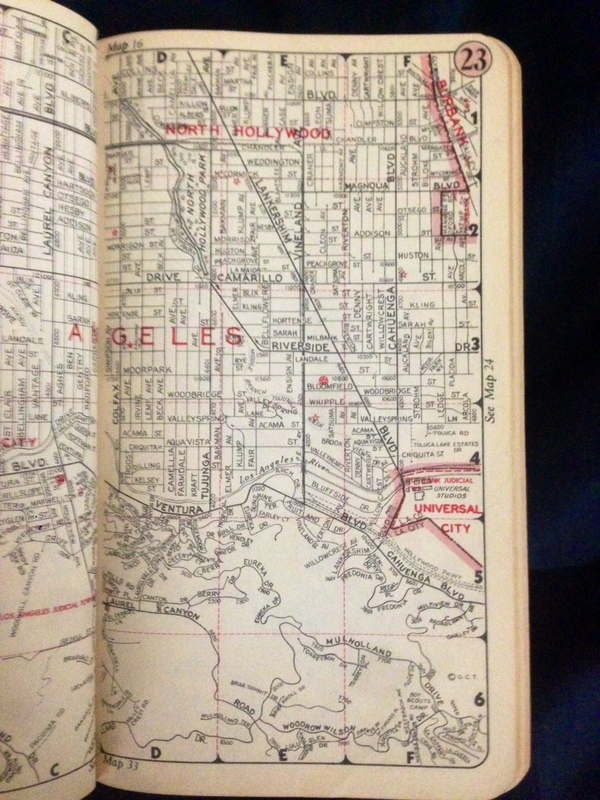 I would say my copy of the 1951 Guide is in a bit worse shape than my 1945 guide, but it is interesting to see that there are still no freeways through this section of Los Angeles. 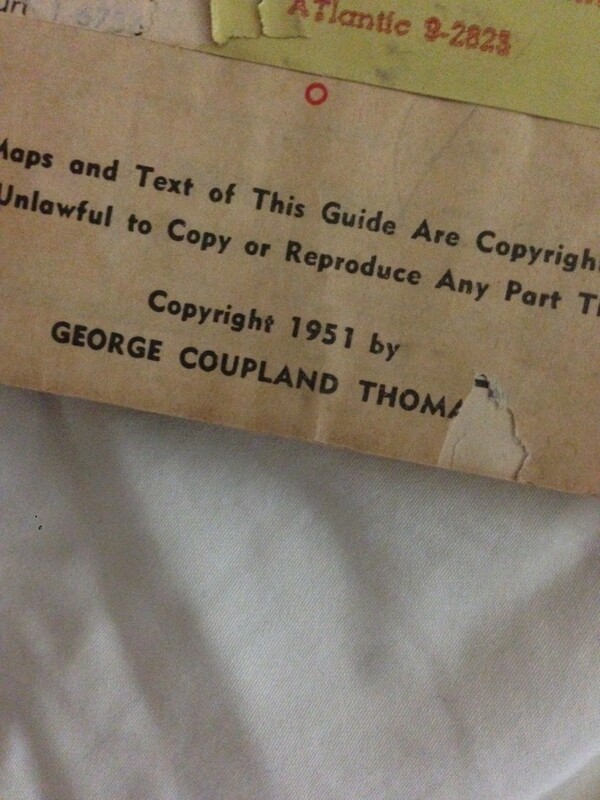 It’s not until my 1960s Guide that you start to see them pop up. It is also fascinating how many streets are still the same ones 70 years later. 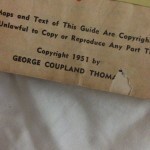 First page showing the copyright date of the 1951 Guide. 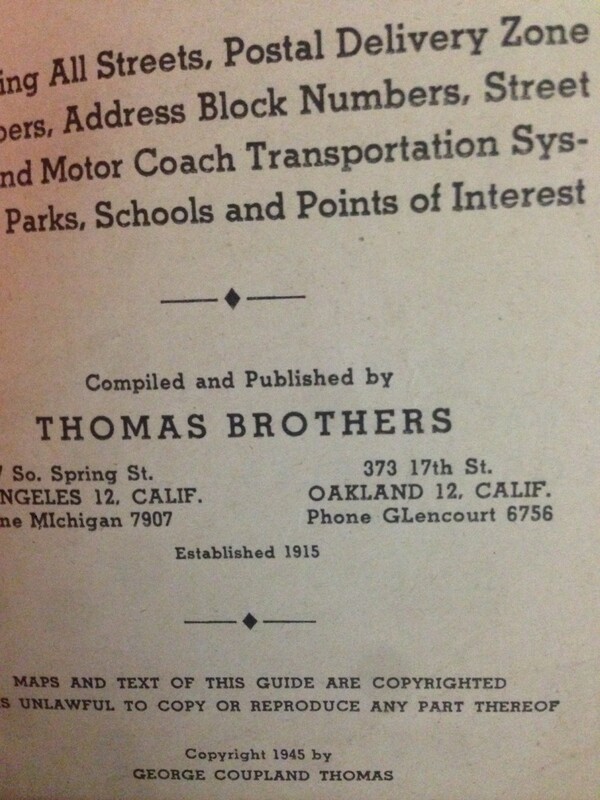 Thomas Guides are my favorite map and I will certainly be highlighting my collection here on Map Mondays. I know my fascination with them was driven by the gift of an old 1978 LA and OC Thomas Guide from my grandma – one that I still have in my collection today! But again, that is another entry.. This entry was posted in Club Josh, Maps on May 5, 2014 by clubjosh.